It is fun to mix and match vinyl, especially beautiful patterned vinyl and layering can often be a daunting task! 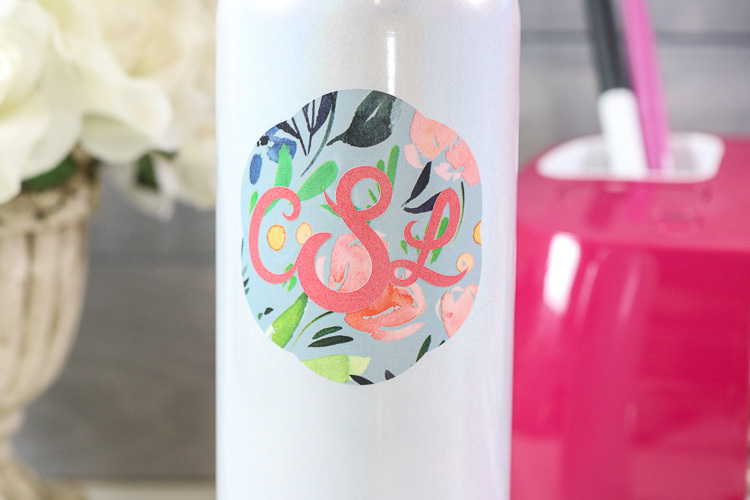 I am sharing my foolproof tips on How to Layer Vinyl the easy way! 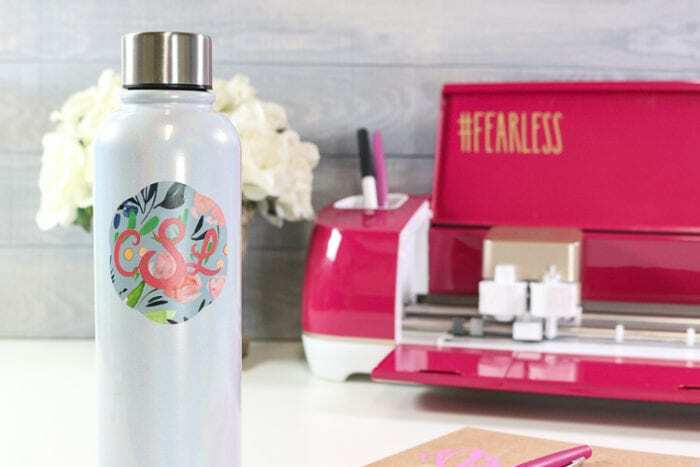 Get perfect results every time and learn to layer vinyl like the boss you are! One of the biggest hang-ups I hear when talking to readers or my friends about adhesive vinyl is how difficult it is to layer correctly. 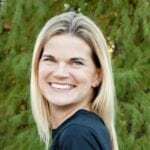 It’s sticky, it gets static cling and that bottom layer jumps up to kiss that top layer before you have it centered correctly and it can be challenging to pull the layers apart without ruining them. I talked a bit in my DIY Journal post about how we are makers, creators, influential women, and mom bosses. We can do hard things. 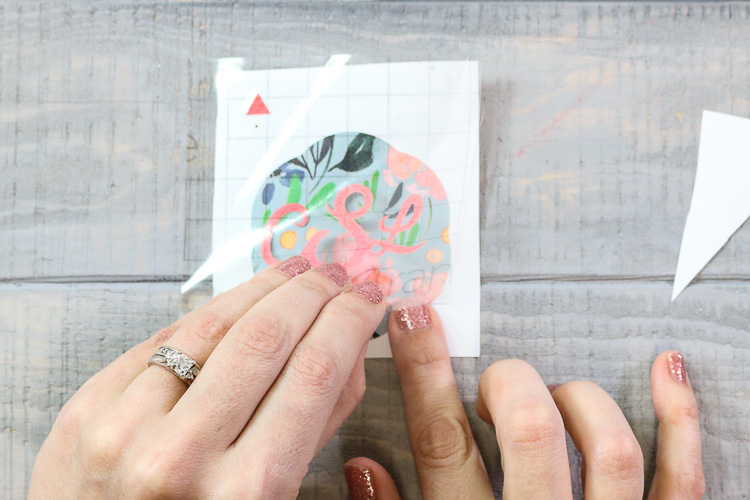 This tip will solve all those layering problems and have you fearlessly mastering all the vinyl layers in no time! Today I am using some Premium Vinyl designed by the fabulously fearless Natalie Malan. 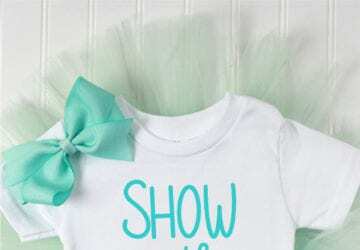 These prints are exclusive to JOANN and they are simply stunning! I am not sure how else to describe them. 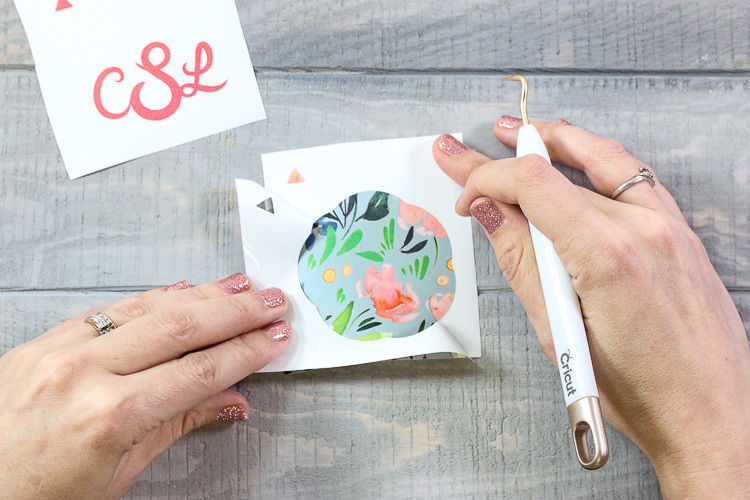 I am using a blue and pink-ish-coral floral pattern as the base, from the Belle Citron Sampler pack and then the pink-ish-coral watercolor “solid” from the Summer Set Sampler pack. 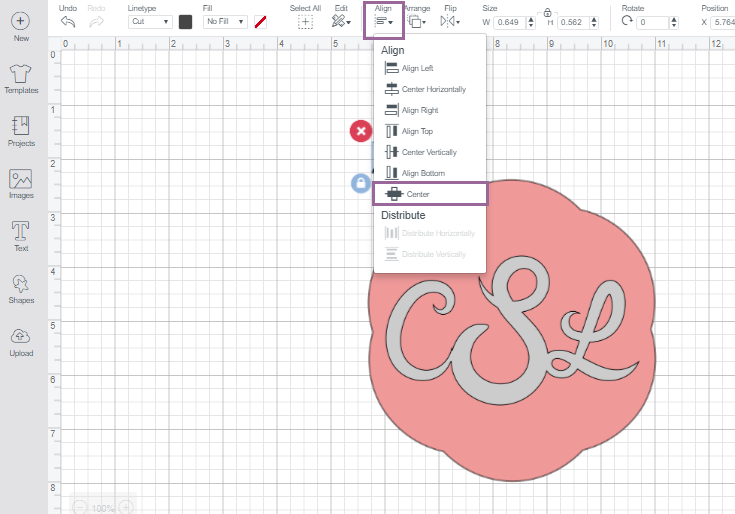 I am layering my monogram over a patterned base shape. 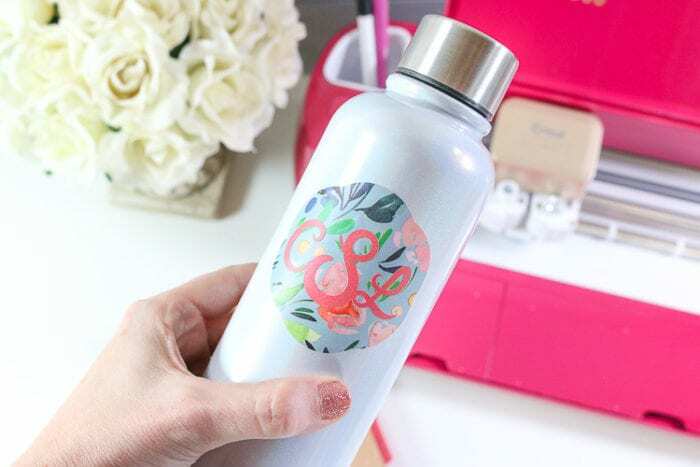 You can find step by step instructions on How to Create a Monogram in Cricut Design Space here. 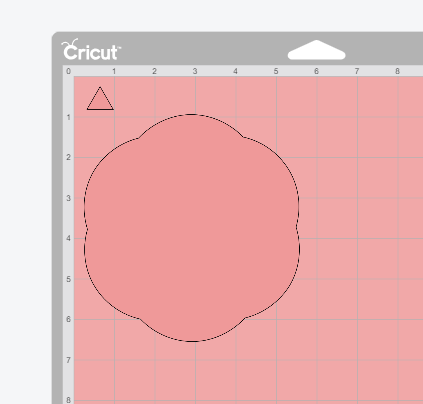 With your Design ready to go in Cricut Design Space and using the shape tool, add a triangle. Resize to about half an inch. 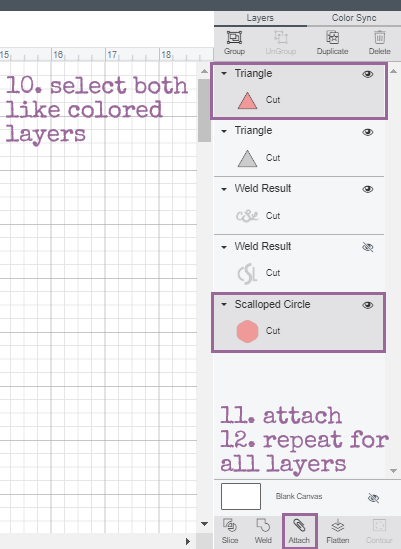 Select like colored layers and Attach. Repeat for each color. Click Make It and proceed to the Mat Screen. You will see each layer has a triangle where we placed it on the canvas screen. Click Continue. 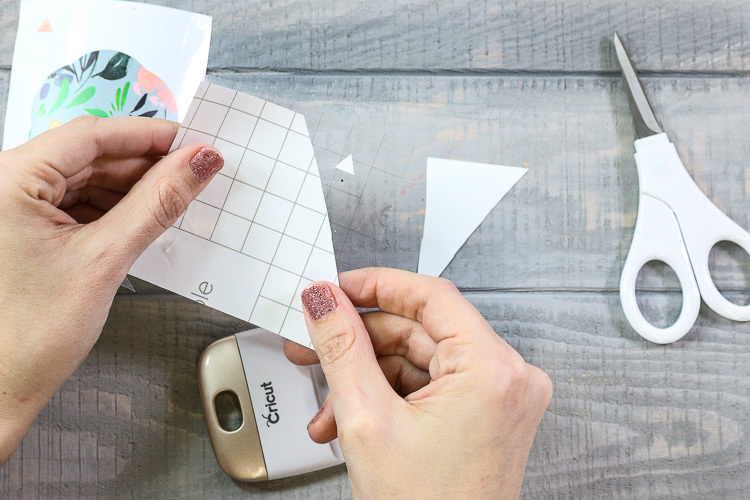 Connect your machine, select your material, load the mat and cut. Weed Excess Vinyl from Triangle and Design. Using a weeding hook remove the excess vinyl for each layer leaving the triangle and your design. Start with the TOP layer on your workspace. 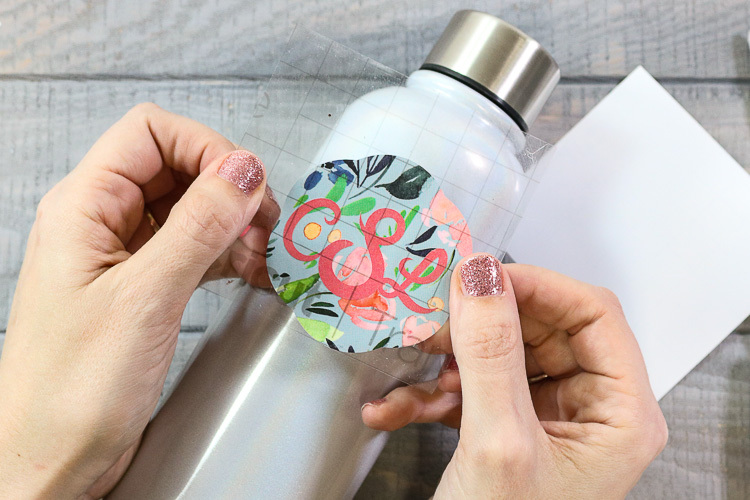 Add transfer tape over your design. Use the scraper to make sure it is properly adhered to the transfer tape. Do not remove the paper backing yet. Peel back the paper backing ONLY exposing the triangle. 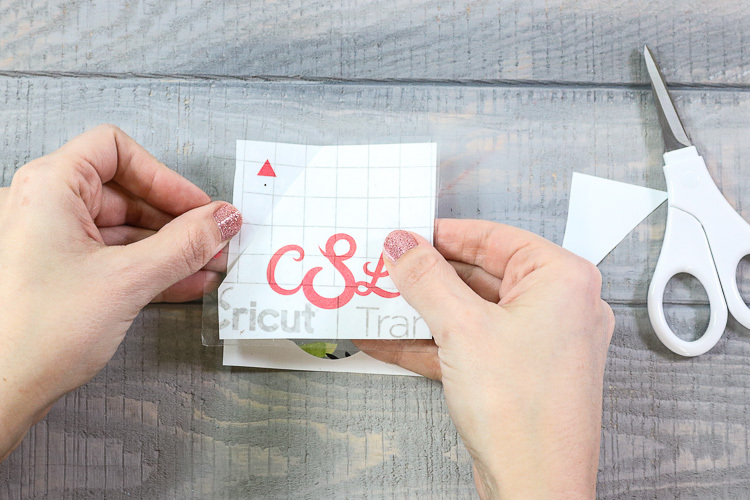 Cut away that area of paper backing, leaving the bulk of your design still covered by the backing paper. Line up the triangle of your top layer with the triangle of the layer that goes underneath (in this case our bottom layer). 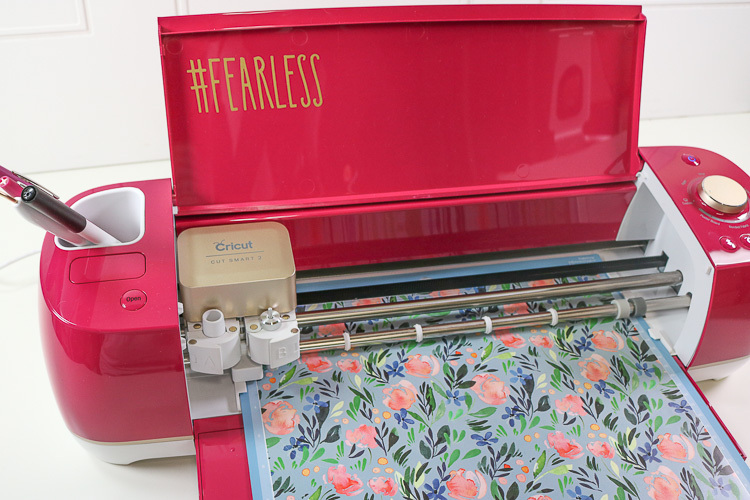 Keeping the bulk of your design covered with the paper backing ensures that you don’t get premature sticking from static cling or the sticky back of your top layer vinyl!! 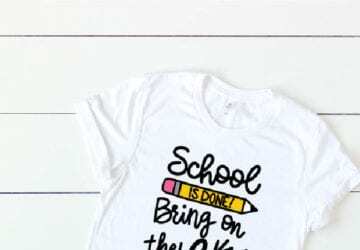 When you are happy with the alignment, press down firmly and use the scraper tool to adhere the entire exposed transfer paper area to the layer below. 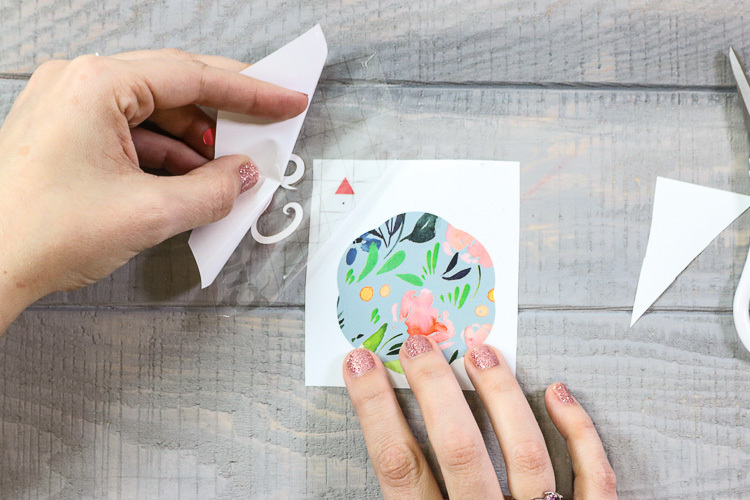 Carefully fold the top layer over and remove the remaining paper backing from the top layer. Be sure to keep the triangles adhered. Carefully return the fold to it’s original position and use the scraper to firmly adhere the top layer to the bottom. Now that your layered design is complete. remove the bottom layer paper backing from the transfer paper. Apply your layered design to your prepared blank. 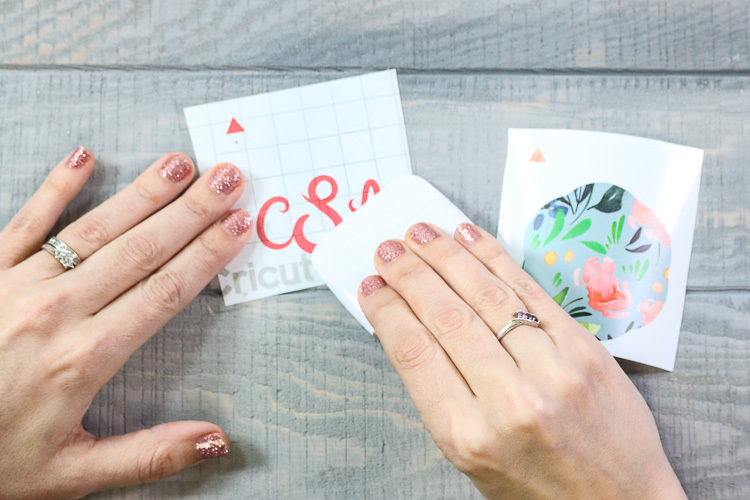 You can find detailed instructions and all my tips on How to Correctly Apply Craft Vinyl here. What Types of Vinyl Can be Layered? Premium Vinyl (permanent and removable) can be layered upon each other or used as a base layer. 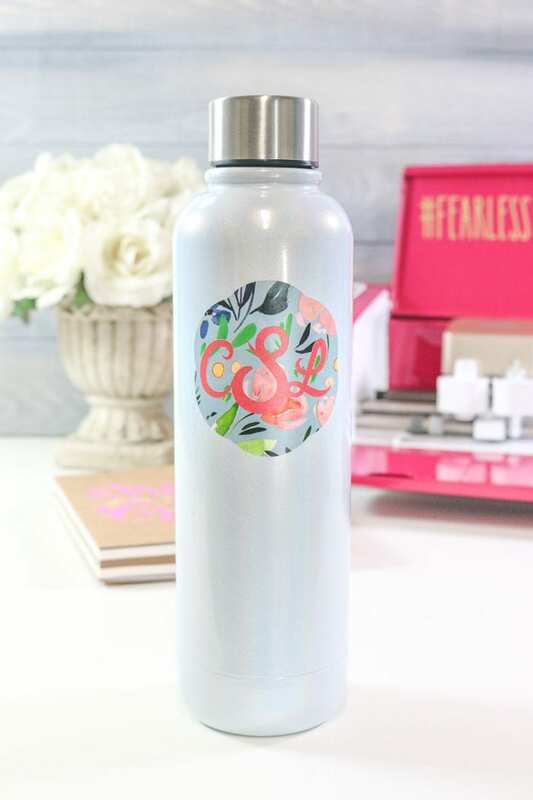 Glitter Vinyl can only be used as a top layer. Basically if the vinyl has a smooth surface it can be layered upon. If it has a rough surface it can only be used as a top layer. What is the Maximum number of Layers I can layer adhesive vinyl? That is a loaded question, lol! I always decide by what blank I am putting the layered vinyl on and what it’s used for. A sign hung on a wall, not being handled or “used”: Layer away! 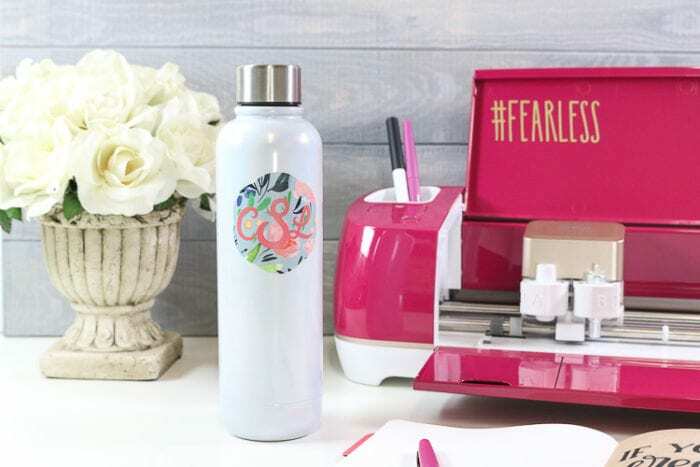 A water bottle, clipboard, lunch box, etc. (things using often, washed and heavily handled) I would limit to 3. 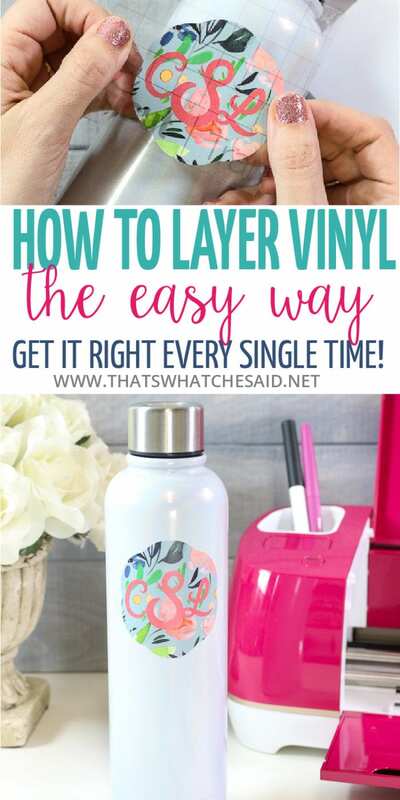 You can check this post out for more Vinyl Layering Tips!